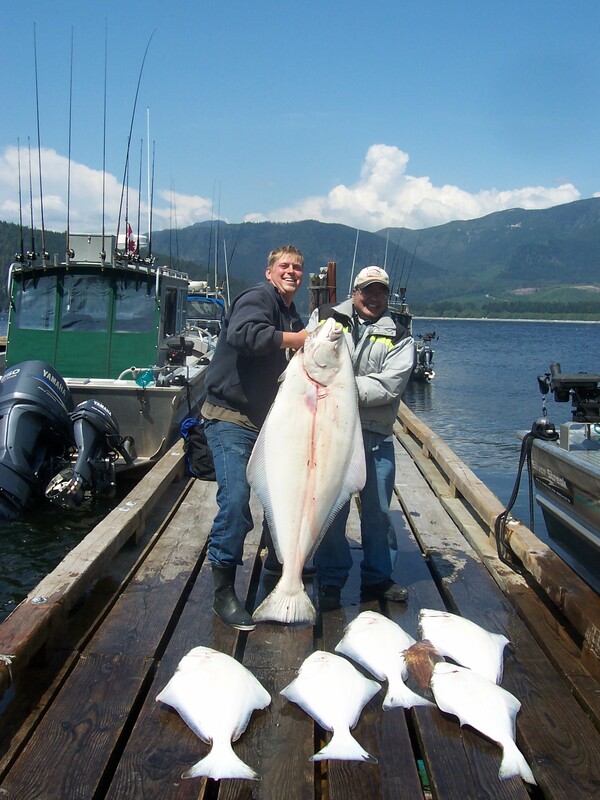 Welcome to Trailhead Resort, Port Renfrew’s FIRST AND ONLY full service fishing lodge and charter operation, where everything is provided on site for your maximum ease and fishing enjoyment. 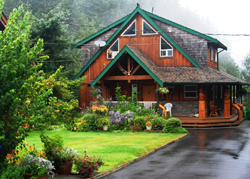 A Trailhead Resort fishing package includes some of Port Renfrew’s best lodging, full fishing days and delicious meals. We run large (26 & 30 foot) custom-built offshore boats and certified pro fishing guides with the know-how and equipment to take you where the action is. All bait, tackle, lunches, and rain gear is ready on the boat for you and we clean and store or vacuum pack your catch for you at the end of the day. We also provide “charter only services” -- booking for these starts in May. 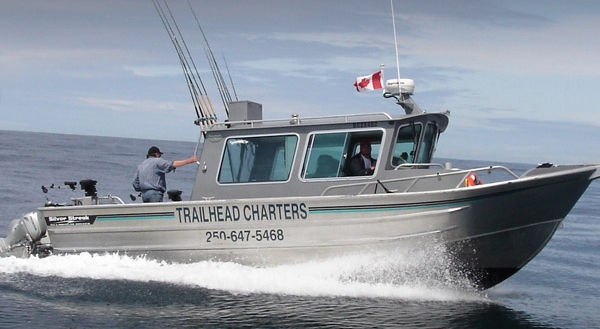 Trailhead Resort has 3 vessels, each custom designed & built for West Coast Vancouver Island fishing by Silver Streak Boats on Vancouver Island. 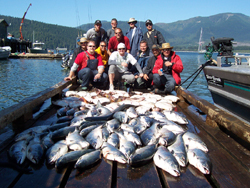 Comfortably outfitted with large heated cabins, enclosed marine toilets, satellite stereos and enormous fishing platforms, these boats were custom built to our specs for the job at hand - busy, active and safe West Coast BC fishing. 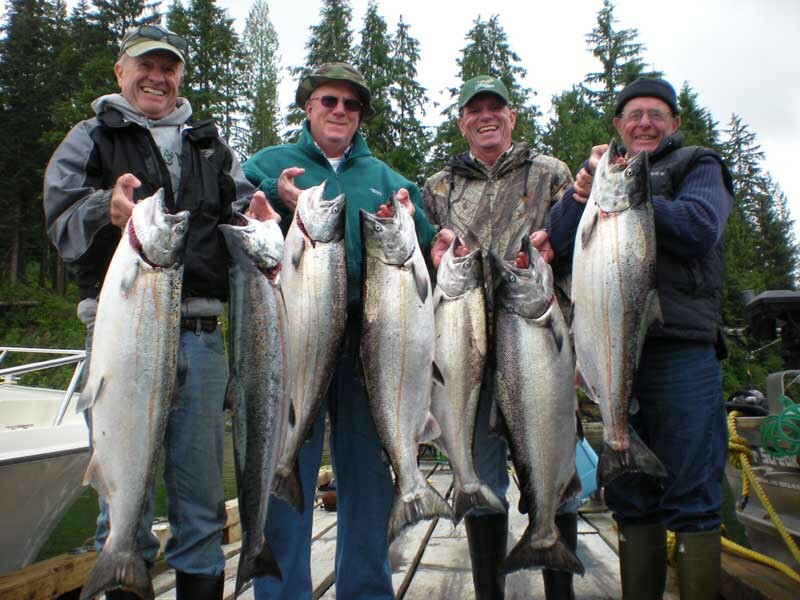 We tailor our gear to the type of fishing you are doing on the day, so whether you are fishing for Chinook or Coho salmon, or fishing for Halibut & other bottom fish, you'll always be using new, high quality gear that suits the conditions and optimizes your chance to max out your daily quota. 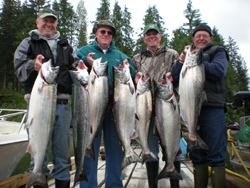 At Trailhead, our seasoned guides use proven techniques, developed and perfected exclusively on the West Coast of Vancouver Island, to help you catch more fish. Fully certified for salt water fishing and boat operation in our waters, our guides have an absolute passion for sport fishing; this, along with years of friendly customer service, has turned our guides into the best quality, most knowledgeable & safety concious seasoned professionals in the business. Our guides are the best piece of tackle you can take with you, and they work hard to make sure you have a fun, safe and productive day on the water. Rates based on double occupancy per room. The cleaning and chilling of your catch will be taken care of as soon as you hit the dock, to prepare it for storage and shipping. With Trailhead you can take your photos then head up to the resort for a shower, drink, hot tub and tell your fish story while we take care of the details. Trailhead Resort offers in-house custom cutting, vacuum packing and fast freezing of your catch. This same day service makes transport easy and saves you the hassle of having to do the work when you get your catch back home. 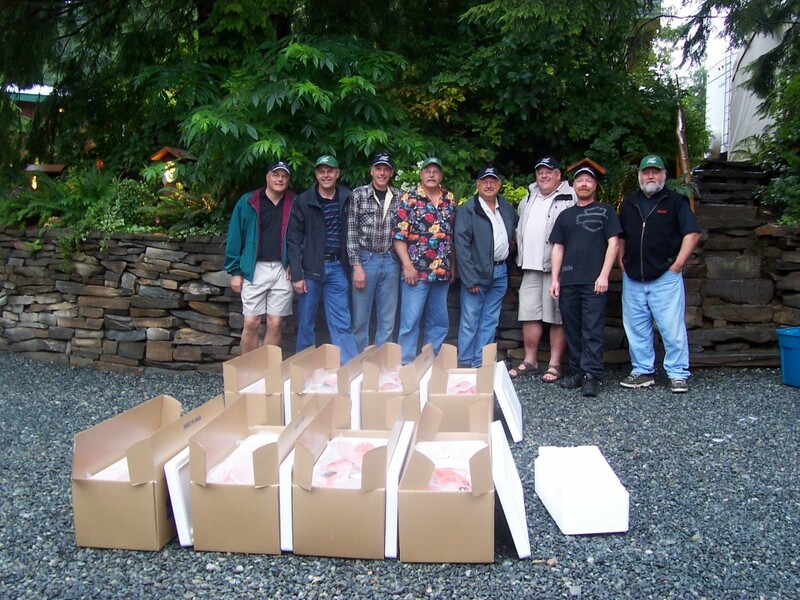 Our top quality catch care service keeps your fish tasting "fresh caught" all winter long. We also offer a custom fish smoking service as a new option for your catch care. You can bring your own cooler, or you can buy an insulated shipping container from the Trailhead Store. These containers are built for air or auto travel and can hold 50 pounds of fish so you can check it with your luggage for the flight home. “Each fisher will easily fill one on a 2 or more day fishing package”. Family owned, built and operated, Trailhead Resort began as an ambitious family dream over 20 years ago. Over the past two decades - through hard work, fantastic service, and with great guests coming back year after year - Trailhead Resort has turned itself into Port Renfrew BC's most beloved fishing lodge & hotel. Book your next trip with Trailhead and you will experience the first-class, friendly service that makes us famous.